Super TYPHOON HAIYAN kills thousands and impacts over 11.3 million people in the Philippiines. Forecasters provided significant lead time warnings; however, this storm impacted with record winds over 300 km / h over a large area. Over 20 typhoons hit the islands in an average year, hence people are familiar with disaster preparedness, yet, this super storm caused enormous devistation in Cebu City. 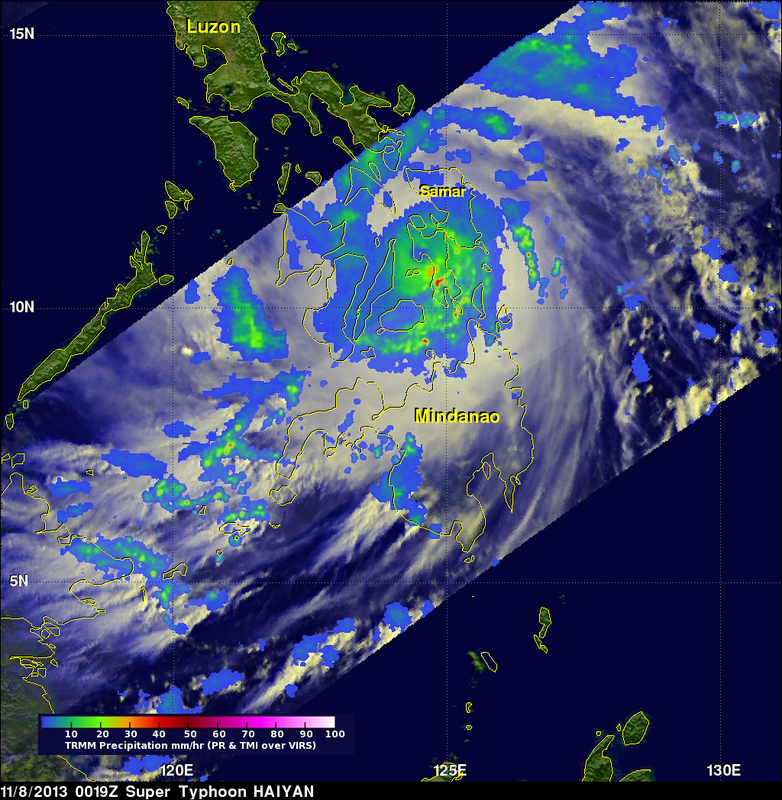 NASA provided excellent satellite imagery of the heavy rains and storm evolution from TRMM . The Joint Typhoon Warning Center JTWC did an outstanding job of forecasting the track and intensity of Haijan.